Good Evening from a very windy Scotland. Oh golly it was great though today as I got 3 loads of washing dried!!! So here we go with my second card for today, I did the colouring last night and added the glitter earlier so needed to wait for it to dry. Card Recipe A6 Card Papers HOTP Stamps Crafters Companion (Free in Magazine) Coloured with Promarkers. Challenges I would like to enter my card into are.... Christmas Card Challenges - Things With Wings (My Wee Robin) Sketch Saturday - Sketch Cupcake Craft Challenge - Cute and Cuddly Crafty Hazelnuts Challenge - Things With Wings. CAS ual Friday - Use Glitter. CRAFT Challenge - Christmas The Cutie Pie Challenge - Clean and Simple. Im off to watch Broadchurch tonight, I really am enjoying it, mind you the David Tennant and Arthur Darvill eye candy help lots!!! Enjoy your evening whatever you are up too. thank you for joining in with the cutie pies. how adorable. the glitter is the perfect touch. Thanks for joining us at Christmas Card Challenges. this is so cute!! adorable card! thanks so much for joining us this week at CAS-ual Fridays Challenge! This is so sweet, love the CAS style, and you have done it perfectly. Super card and love the cute image. Thank you for joining us this week at C.R.A.F.T. Sorry I am late commenting... hope you are well hun! The snowman is just so sweet! Thanks for joining us at CAS-ual Fridays Challenge! 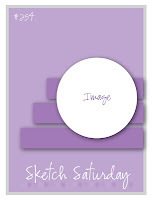 Gorgeous card, thanks for joining us at Sketch Saturday. This is such a cute card, I love all the sparkle! Thanks for joining us at Christmas Card Challenges! This is gorgeous, love the image and your fab lay out. Thank you for joining us at Cutie Pie.